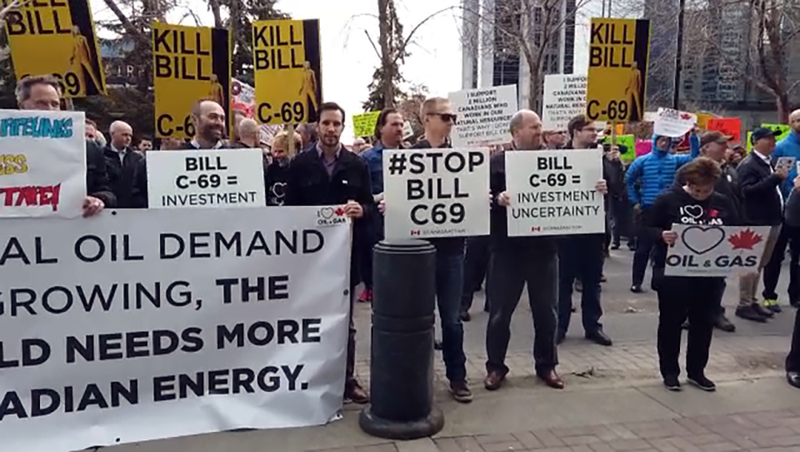 Premier Rachel Notley spoke to a senate committee on Tuesday about two energy related bills as hundreds of people rallied outside Calgary’s Sheraton Hotel in support of Alberta’s oil and gas industry. The Senate Transportation Committee heard submissions from Canadians on Bill C-48, the Oil Tanker Moratorium Act, and Notley was joined by three Albertans to make her presentation. “We had a good conversation. I was pleased to be able to introduce Angela and Edward and Roger to the senate committee so they had an opportunity to see the actual humans who are impacted by something like Bill C-48 and then ultimately to just talk about what is in effect, the discriminatory nature of Bill C-48, a bill that uses a very blunt tool to achieve an objective in a way that will undermine our industry and undermine our ability to attract investment. So I’m hopeful that they got the message and certainly we will keep fighting because we need to make sure that our industry can grow while at the same time it continues to do the work it has been doing to become more sustainable and more environmentally responsible,” said Notley following the meeting. “It’s not a tanker ban, it’s an Alberta ban, and let’s stop suggesting otherwise,” she said. She says Bill C-48 and Bill C-69, which proposes changes to the way environmental assessments on large natural resources projects are handled, need to be amended to support the industry and investment. Notley says she believes she has presented a ‘pretty clear path’ for the federal government to do the right thing with respect to Bill C-69. Notley spoke to the committee via video conference from Calgary at the same time as energy industry supporters rallied outside. The crowd erupted into cheers when UCP leader Jason Kenney arrived. He addressed the crowd and called Bill-C69 an attack on Alberta’s prosperity and jurisdiction. Kenney says Notley’s message to the senate committee is too late and he accused the NDP of acting like it’s a priority to get re-elected. “If Albertans elect a United Conservative government, there won’t be any more bluffing, there won’t be any more phoney fights. We actually will use all of the legal, political and fiscal tools at our disposal to stand up for Alberta jobs, for the construction of pipelines and for fairness in the federation,” he said. Many in the crowd said they have lost jobs in the oil patch and that the bills could impact them even more. “This is my livelihood, my family’s livelihood, I have son-in-laws, myself, my husband, we’re all in oil and gas and pipeline industry and it’s very important for our livelihood, our future,” said one woman. 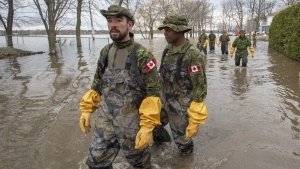 “Canada has the most environmentally friendly oil and gas industry and it’s really frustrating to see it blocked and good, hard-working people out of jobs,” said another. 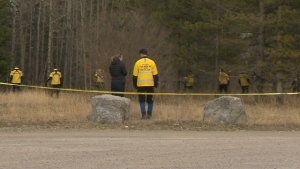 The hearings are taking place across the country before any amendments are made and will continue in Fort McMurray on Wednesday before moving east. Hundreds of people gathered in downtown Calgary on Tuesday to show support for the oil and gas industry. 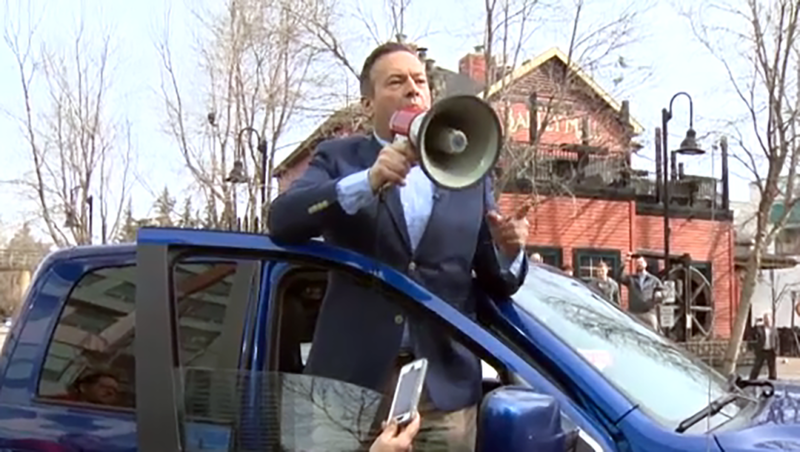 Jason Kenney addressed the crowd outside the Sheraton Hotel in Calgary.